ManWinWin Software (Navaltik Management, Lda.) carried out a Customer Satisfaction Survey in the scope of certification in ISO 9001:2015. 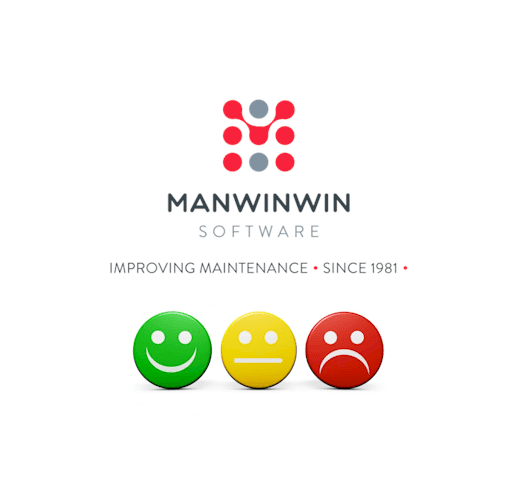 Among other benefits identified, Customers of ManWinWin Software report that they achieved a 24,29% savings in maintenance costs, since the implementation of the maintenance man-agement software. ManWinWin Software (Navaltik Management, Lda.) holds a Quality Management System certified by ISO 9001: 2015, and with a view to continuous improvement, the company conducts a biennial Customer Satisfaction Survey. In the latest survey, sent in the last quarter of 2017, 104 responses were obtained, which allow the company to obtain conclusions regarding its product and the services provided to customers, in different categories, such as contact with the company, support in pre-sales, after-sales support, software features and benefits of the software. It should be remembered that the company has been developing a set of initiatives aimed at enhancing the excellence of technical support, which is one of the most valuable attributes of ManWinWin Software. Product improvement is also well underpinned by the company’s philosophy, with new software updates including the suggestions customers make, and the program continues to evolve according to their needs and the direction of the market itself.